When Brown Butter Creperie made the leap from food truck to brick-and-mortar, they brought on Fairly Modern to concept the entire experience for their loyal customers. With a visual identity already established – we translated their brand into graphics that were used throughout the space including window graphics, signage, menus, employee uniforms, and more. 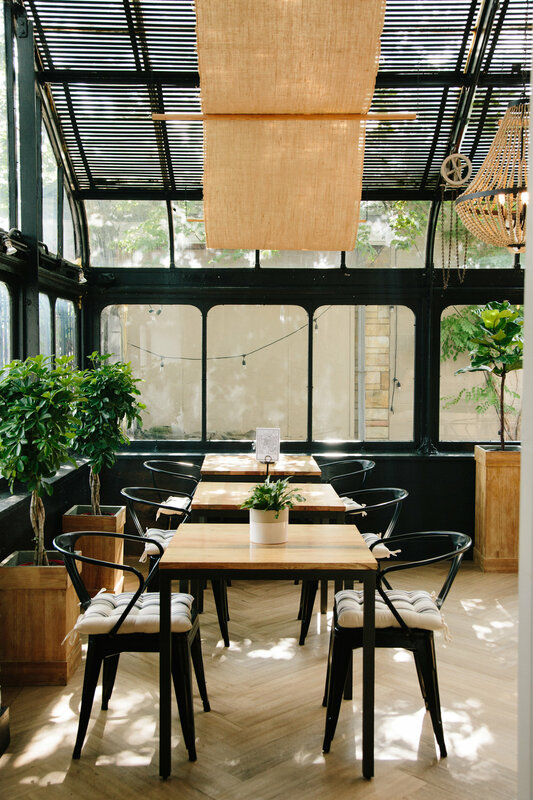 The interior design was inspired by a french cafe and the layout was reconfigured to create maximum and flexible seating for a small space.